We know that 2019 will bring us the KMAA and a refreshment to this area of the Area Formerly Known as Coney Mall. We also know that Firehawk will be gone. What else do you think will change at the park this year? And just out of curiousity...can anyone here take a guess as to why they still have the WinterFest lights still on? I know they are LED, but it still costs money not to mention the hours of life taken off the bulbs. Location: A 5th dimension beyond that which is known to man. A middle ground between science and superstition and it lies between the pit of man's fears and the summit of his knowledge. It is an area we call Ohio. Have I missed something? 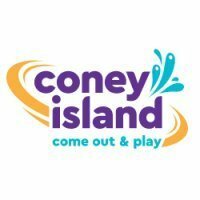 Isn't the area still called Coney Mall? I am hoping that Coney BBQ will add corn pudding to their menu for the season. Oh, and maybe I can get to step foot into the Rivertown FreeStyle station on more than 5% of my visits. You just need to show up when @King Ding Dong isn't in the park. Looking forward to seeing cranes. I would like to see a larger/smarter labor pool to hopefully improve food service throughout the park. It’s going to be interesting what they do with the lockers at FOF. They were installed for people to lock loose articles away while they rode Firehawk. 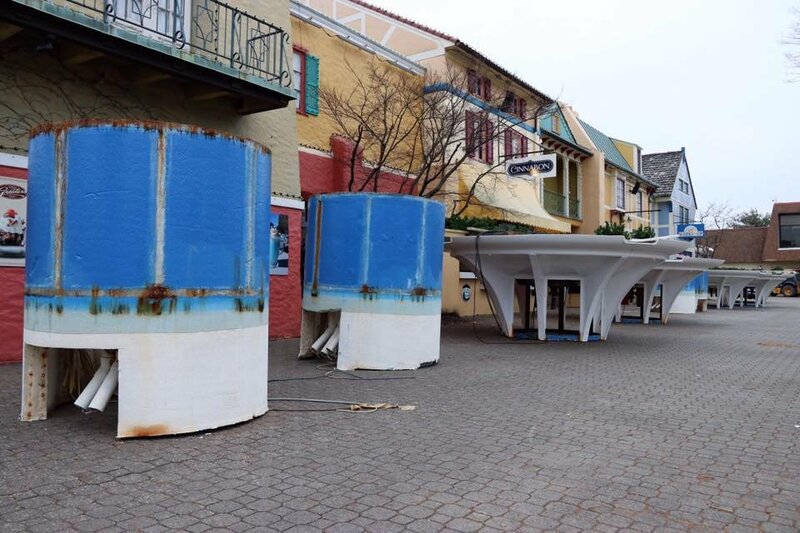 With that gone, will we see them removed and a redesigned entry plaza for FOF? It’ll be interesting to see what shows & events we get this year! Something tells me they'll be needed again. I just think the main focus this year is Antique Autos then this year is like an s upgrade to iPhone, what really is happening is behind the scenes that we cant see but will be announced and or teased later this year. Wave pool on international Street! Confirmed!!! Im excited to see an "updated" verison of Istreet. Next they need to do that parking lot! I really really hope they don’t cut down the I street trees. Other than that, SUPER exciting!! It looks like one tree near the Sweet Spot is a goner in that last photo. Very interesting, curious as to the benefit of this. I imagine these trees are gone unless they build seat walls or something around them. @SonofBaconatorI was thinking along the same lines. 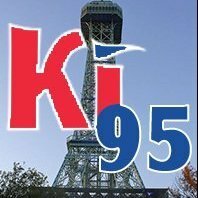 I think this summer Kings Island is going to hit some feels for the older generations. Looks like the Royal Fountain will be getting new LED lights and new nozzles. 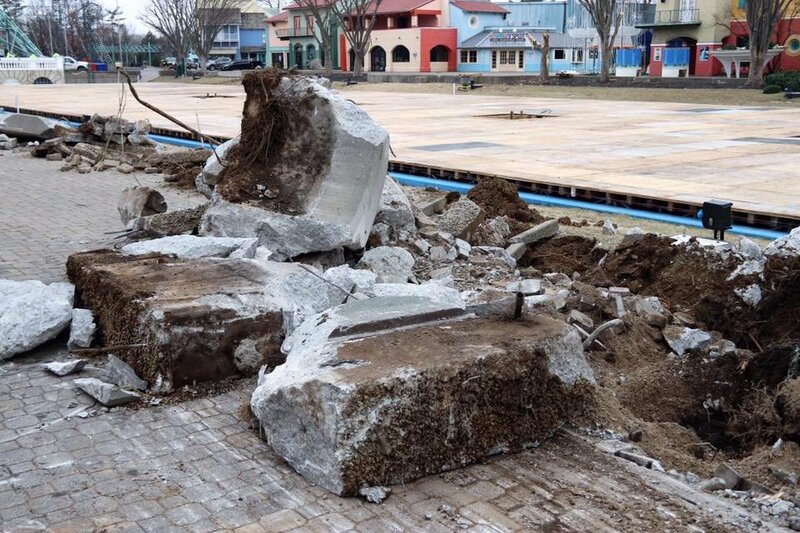 Hopefully the pedestals return as well. Curious to know what the more room in front of the Eiffel Tower for celebrations means. 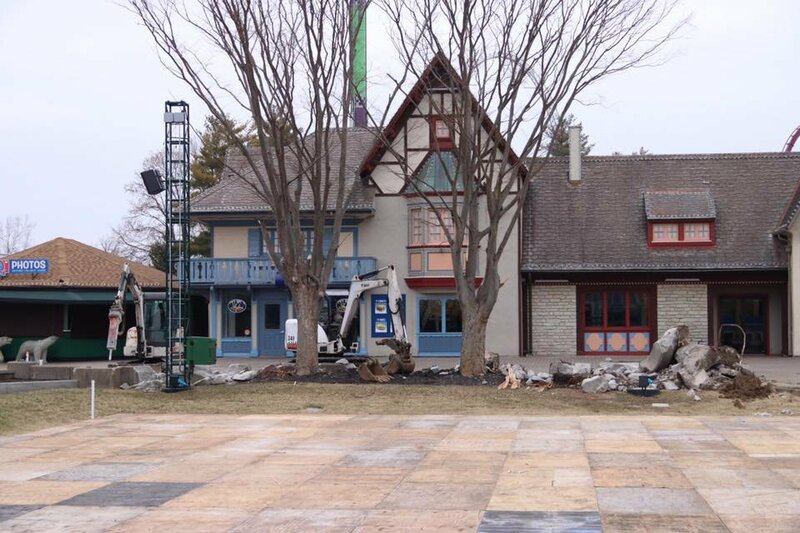 Are they taking out the bandstand, or pulling the midway closer to the base of the tower? 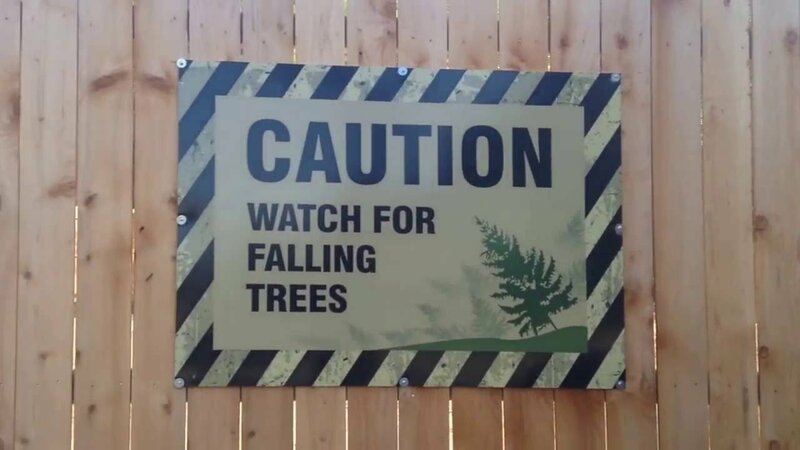 I too hope they do not cut down all of the trees. I also hope that the seat walls return. It is a great place to grab a quick seat. I am excited to see what the finished product looks like. Is it April yet? 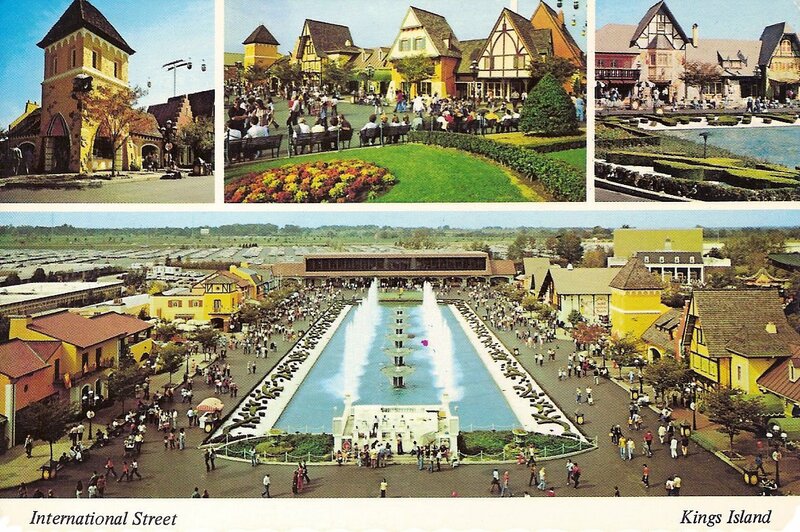 I feel like the park is going back to its 70s-80s roots with its look and charm. We've seen the return of some old attractions like The Bat, Winterfest, the Antique Cars, and now Racer and I-Street are getting some work done. I wonder if Cedar Fair and Kings Island are trying to bring back/mimic the success of the Taft Era. What I wish they would do is make it where people can go onto the fountains and play in the fountains and get wet. Kinda like what Cedar Point does with their midway fountains. That would be a nice way to cool off on hot summer days. I would keep the, "wetness" in Rivertown and Soak City but that's just my opinion. Growing up, my friends and I would ride the log flume, white water canyon, then we took the train to Soak City since we were already soaked. Maybe they will install a bridge over the fountain to cross over instead of walking around the entire fountain. Great picture opportunities. I second that motion and move to close the idea of even chopping down any trees. This is great news, but I'm still kind of nervous about the tree's, and hope they're not being cut down. if they have to cut them down it sounds like more landscaping will be added then taken away. They already cut a lot of the branches off last year..
Just noticed from the 3rd picture, it looks like one of the tree's is almost ready to be taken out, in front of the Sweet Spot.